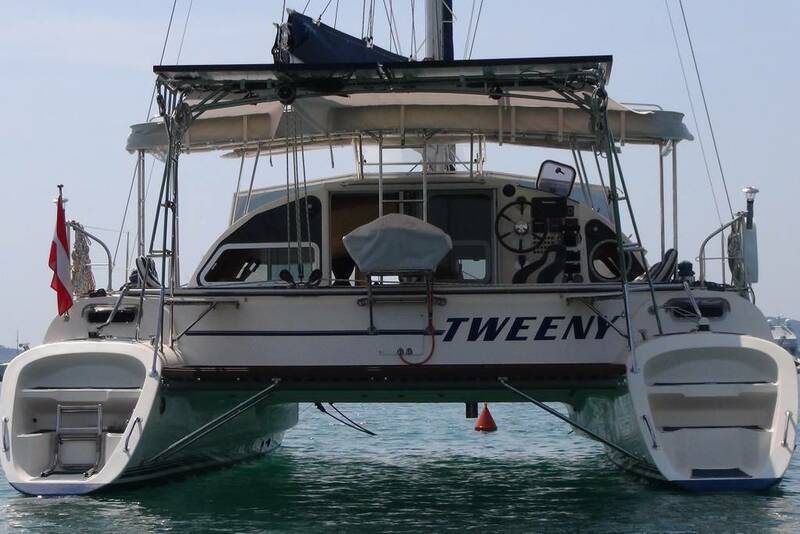 Tweeny is a 37ft Fountaine Pajot Catamaran. 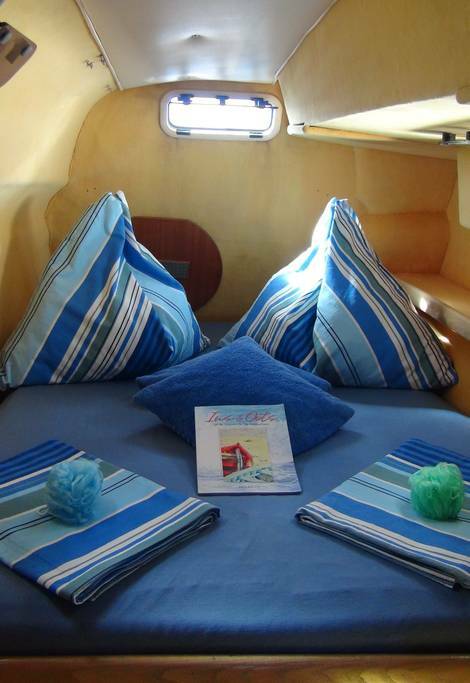 She has had an extensive refit and is upgraded for self sustained living on board and ocean cruising. 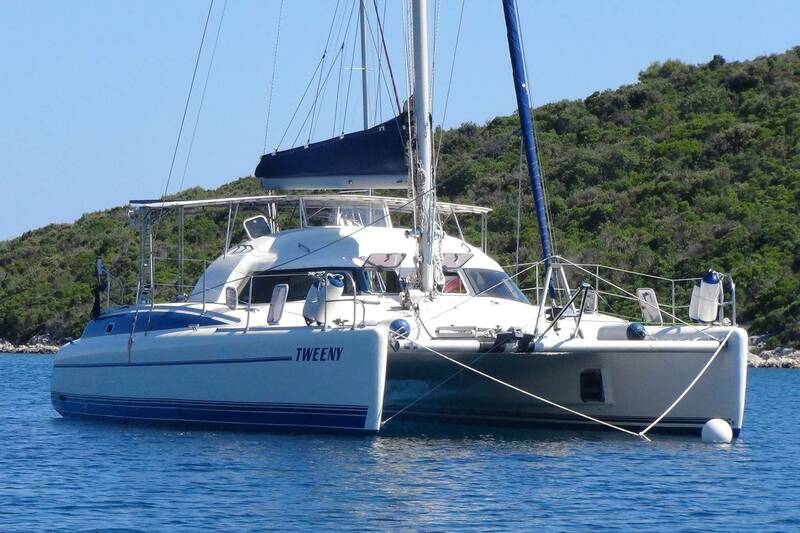 Tweeny is the smallest of our yachts selection, she also has the smallest rate! 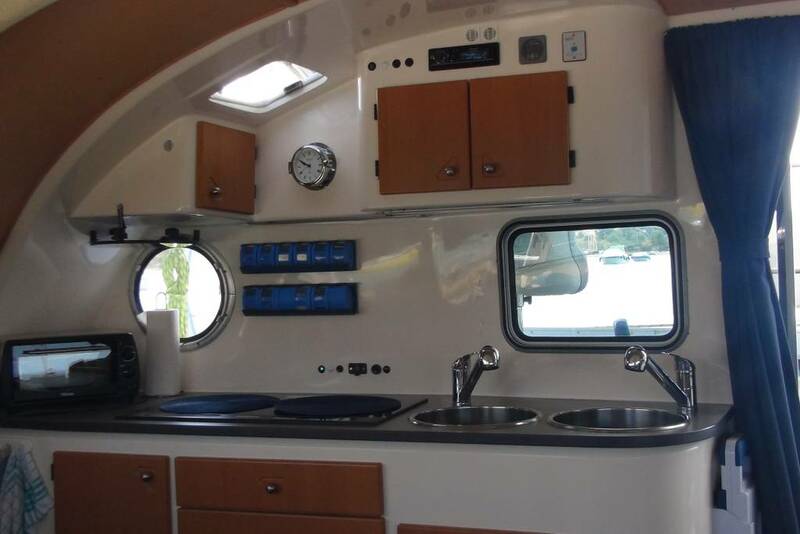 She only does sailing trips with 2 or 3 passengers +crew, so you’ll have ample space for sunbathing on the trampoline and lounging in the shaded cockpit. 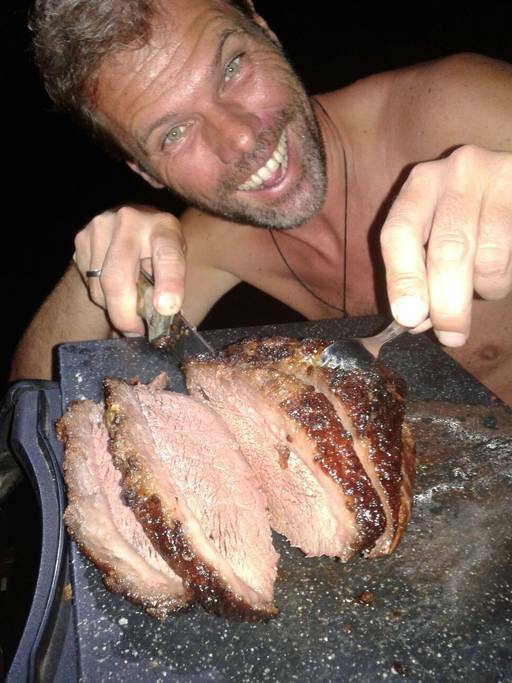 Please note: no smoking anywhere on the boat! 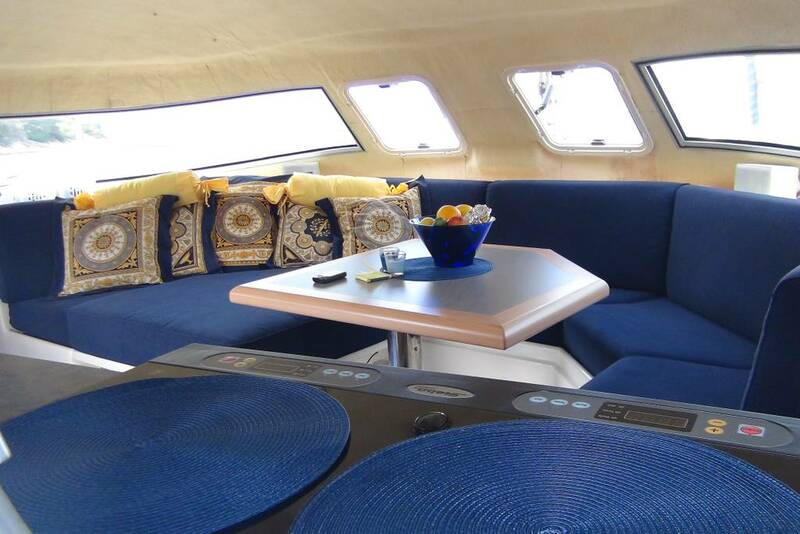 The entire starboard hull is reserved for guests. 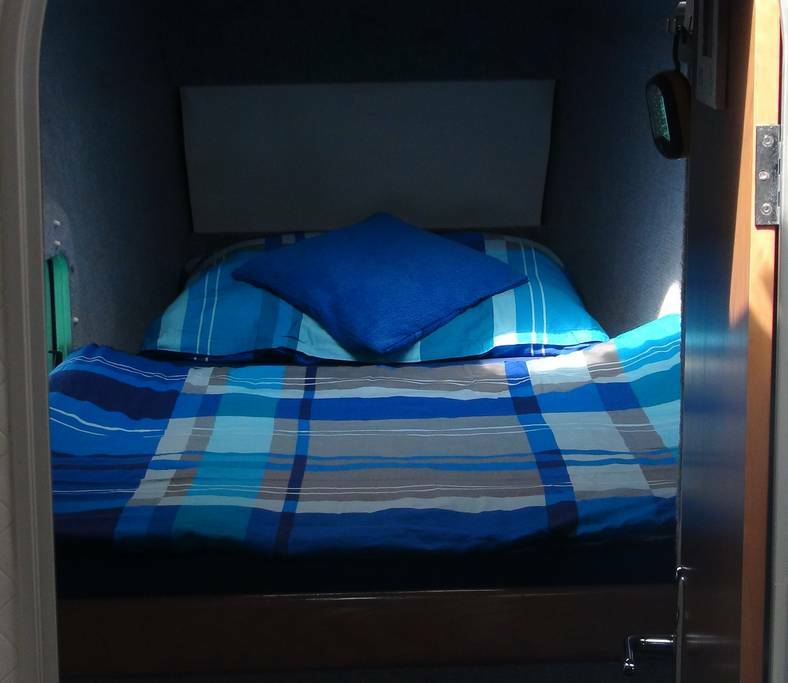 The aft cabin has a bed 1m50x1m90 (5ftx6ft6), the forward cabins’ bed is smaller, so may be suitable for a single. If you are 1 couple, use this one as your walk in closet! 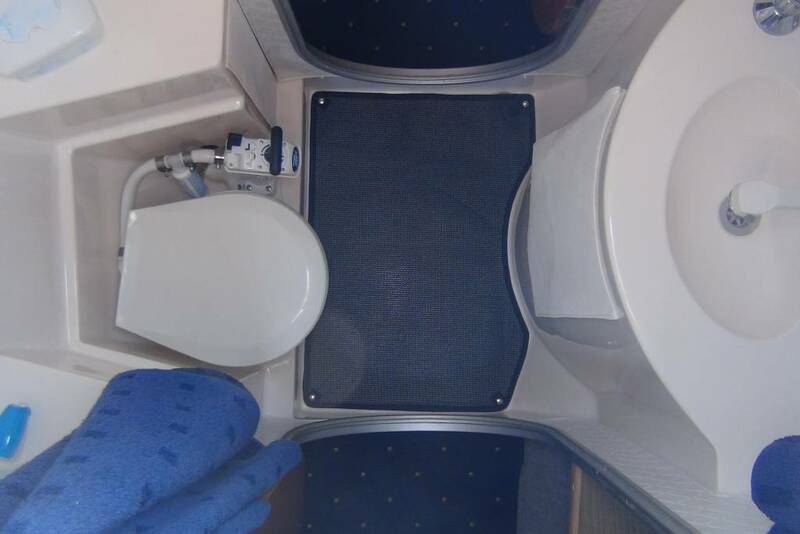 There is a private bathroom in this hull. 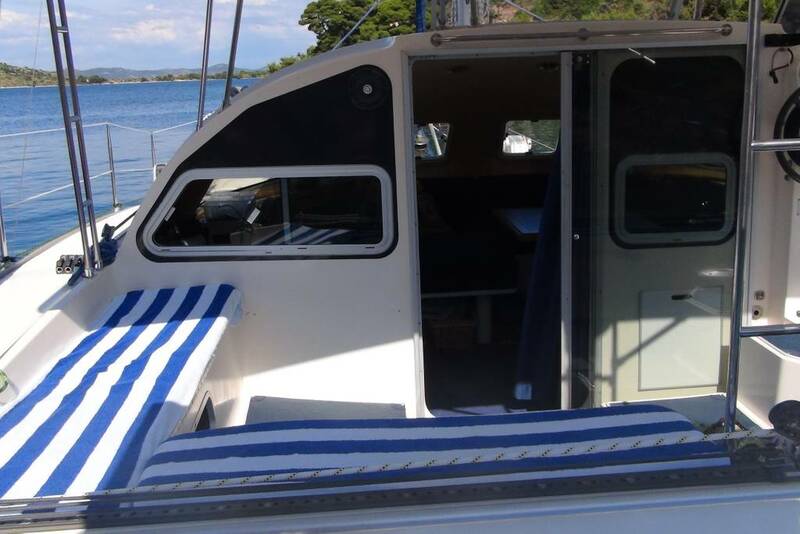 There is a shower on the aft steps which of course is a lot more spacious than the inside shower. 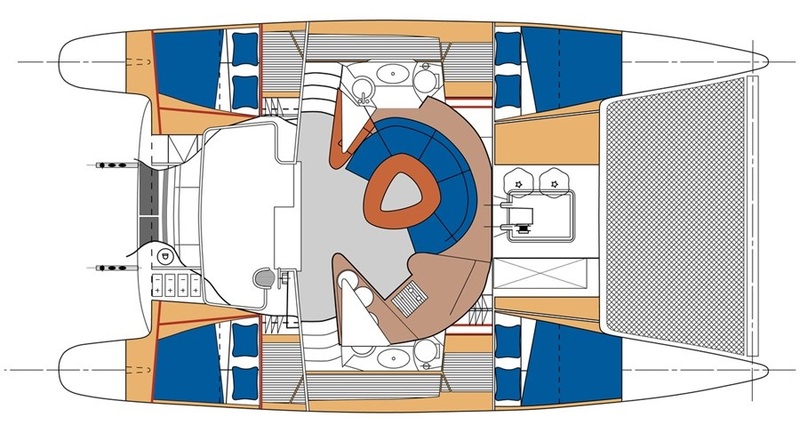 The entire yacht is very well ventilated with numerous opening hatches, no AC needed! 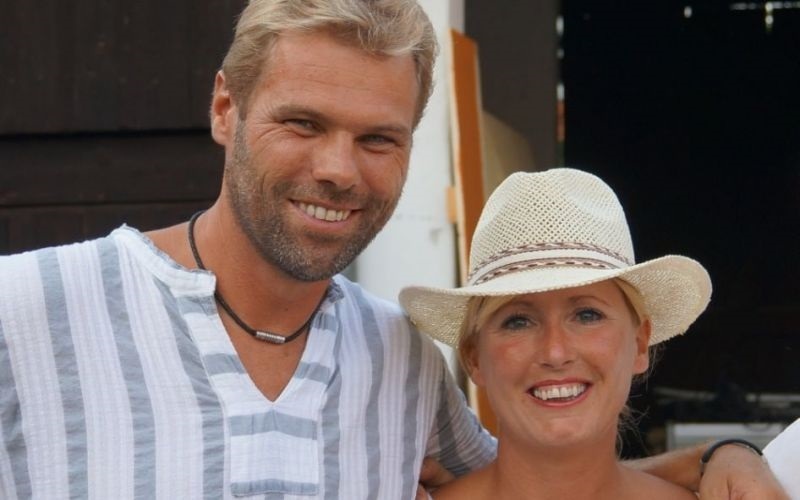 Karin and Chris, both from Austria, are in their 40’s, the youngest crew of our listed yachts. They have 20 years of boating experience though, together they had their first boat in 1999! 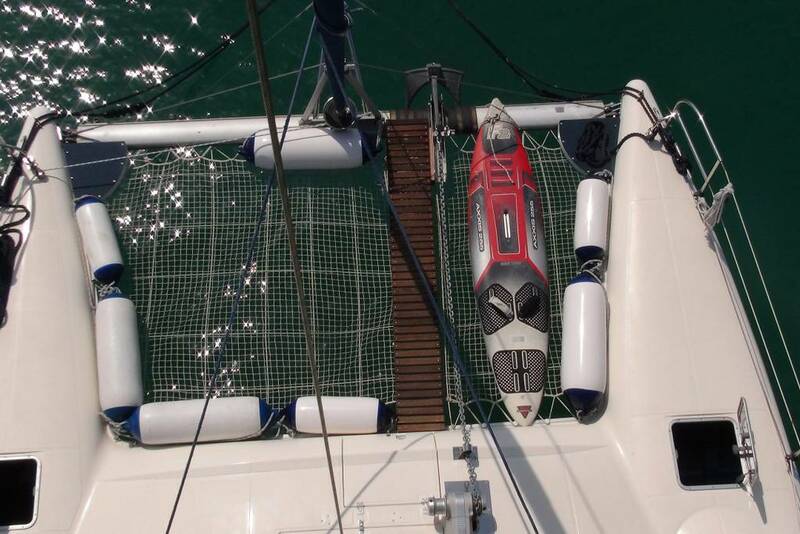 Since 2004 they have had sailing yachts and have cruised extensively in the Mediterranean and the Caribbean. 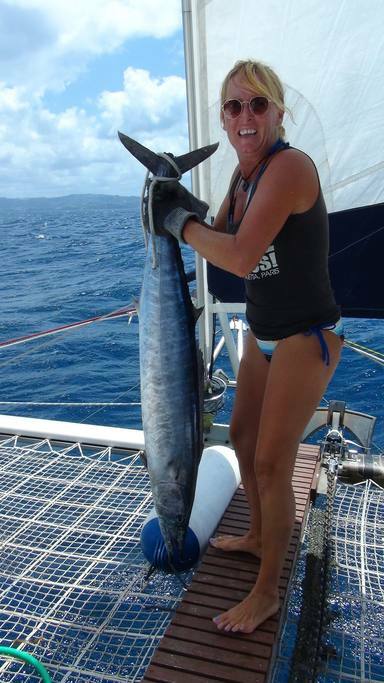 They are now full time charter skippers of Tweeny, and look forward to welcoming you on board. Chris and Karin speak fluent German and English.